Follow Breitbart News for the latest media updates on the commuter train that crashed into a station in Hoboken, New Jersey. 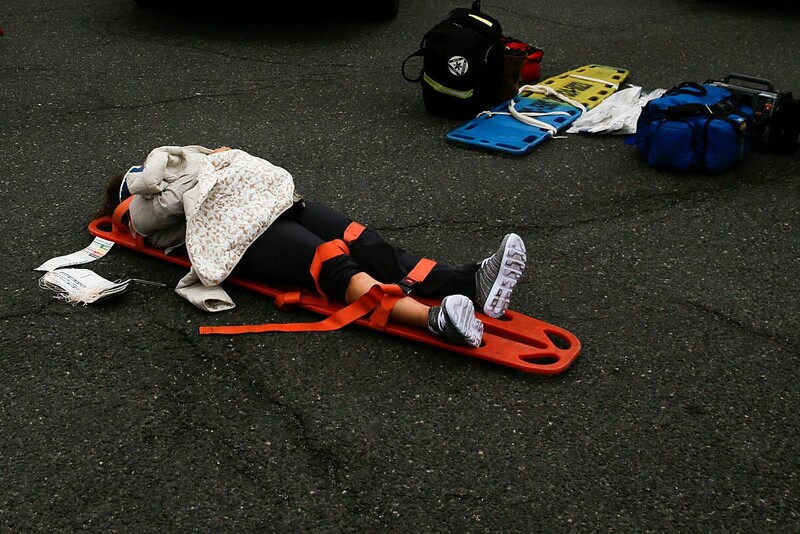 Amid these photos and videos, read the latest wire updates on the crash, the investigation into its cause, and first responders’ work to treat the wounded. 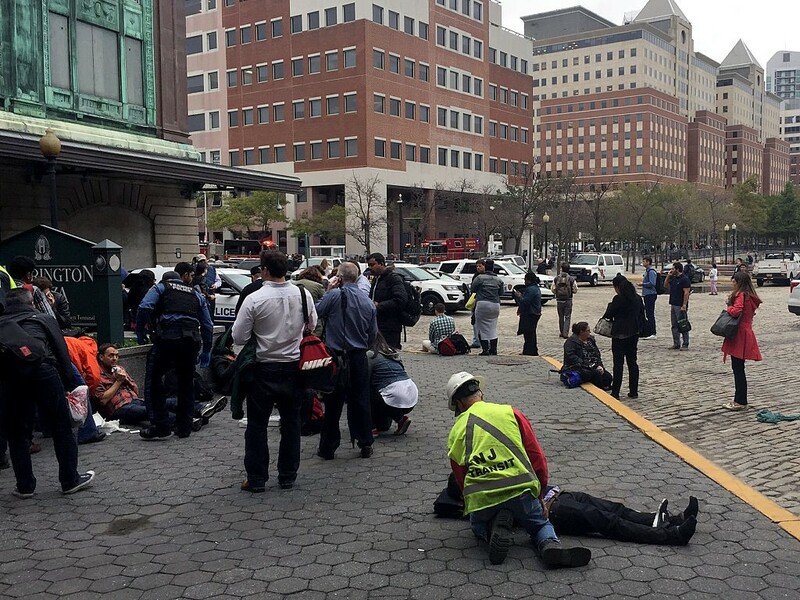 Hoboken Medical Center: 3 trauma patients, 8 others in ER, 40 described as "walking wounded." 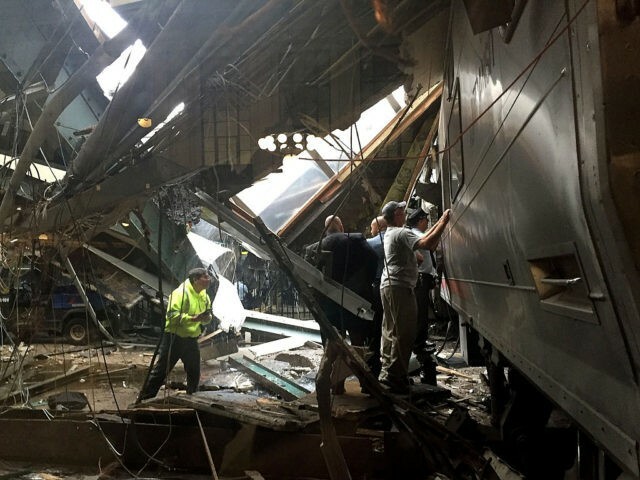 The only person who died in the New Jersey train crash has been identified as a 34-year-old woman from Hoboken. The state medical examiner’s office said Thursday that the victim is Fabiola Bittar de Kroon. Gov. 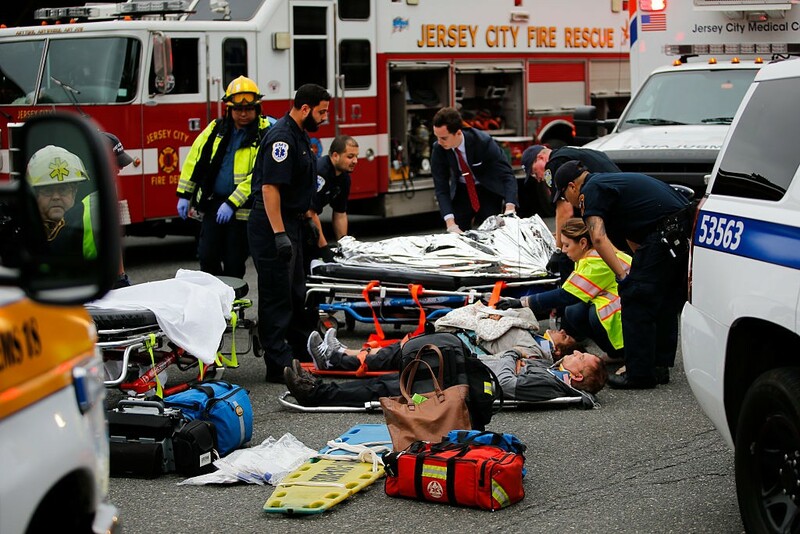 Chris Christie says she had been standing on the platform when the train came barreling in and she was struck by debris. 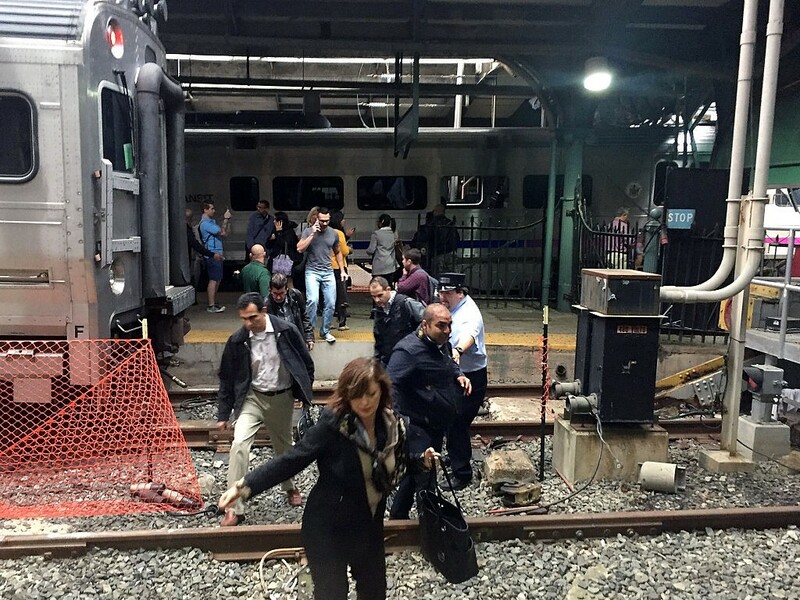 The New Jersey Transit train ran off the end of its track as it pulled into the Hoboken station during rush hour Thursday morning, smashing through a concrete-and-steel bumper. Cries and screams could be heard in the wreckage as emergency workers rushed to reach commuters in the tangle of twisted metal and dangling wires. More than 100 other people were injured. Christie says no one else is expected to die. 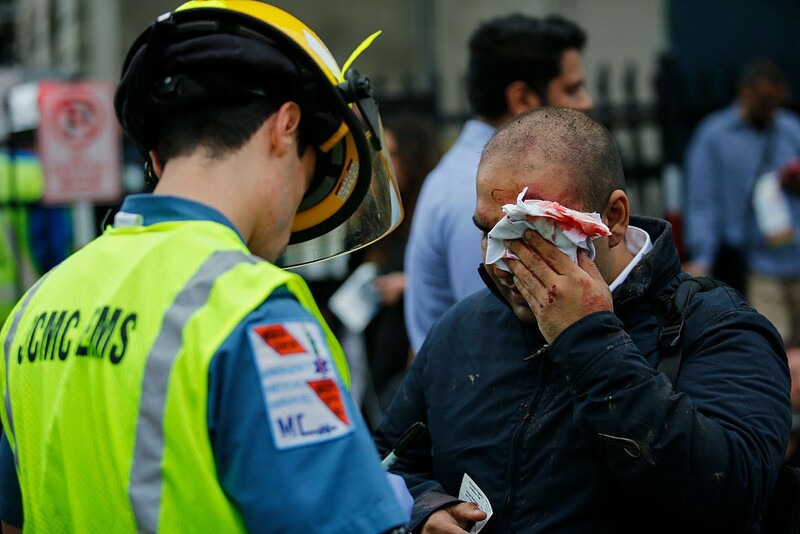 HOBOKEN, N.J. (AP) — A rush-hour commuter train crashed through a barrier at the busy Hoboken station and lurched across the waiting area Thursday morning, killing one person and injuring more than 100 others in a tangle of broken concrete, twisted metal and dangling wires. 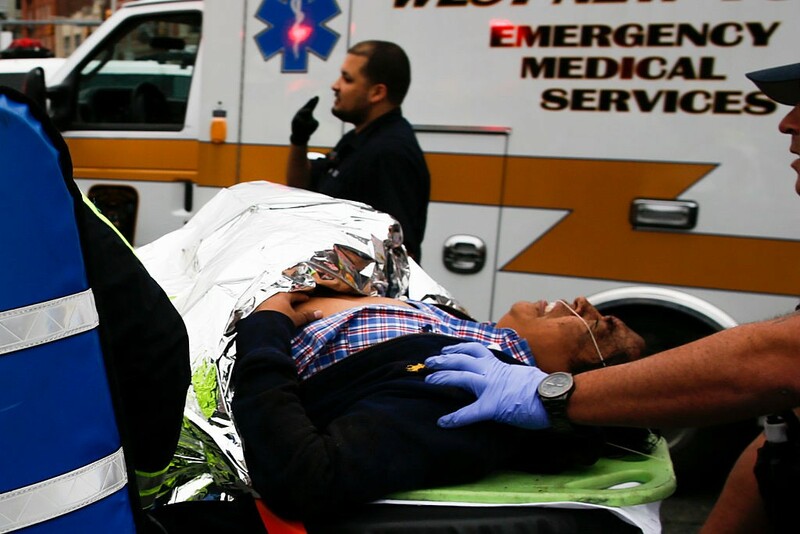 People pulled chunks of concrete off pinned and bleeding victims, passengers kicked out windows and crawled to safety, and cries and screams could be heard in the wreckage at the station just across the Hudson River from New York City as emergency workers tried to reach trapped victims. 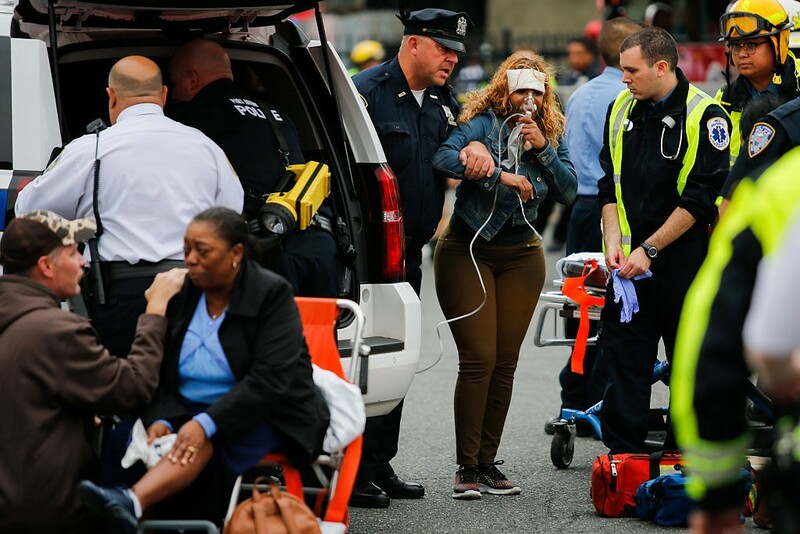 The New Jersey Transit train ran off the end of its track as it pulled into the station, smashing through a concrete-and-steel bumper. 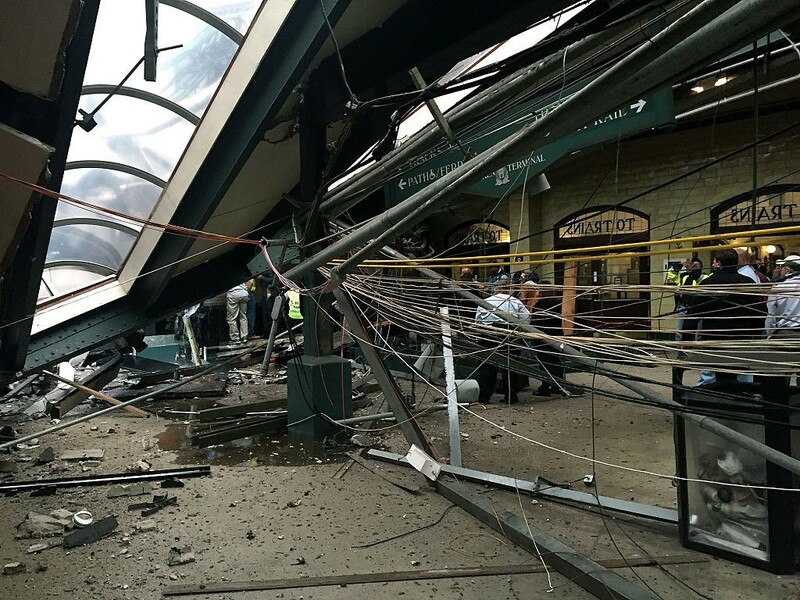 It apparently knocked out pillars as it ground to a halt in the covered waiting area, collapsing a section of the roof onto the first car. 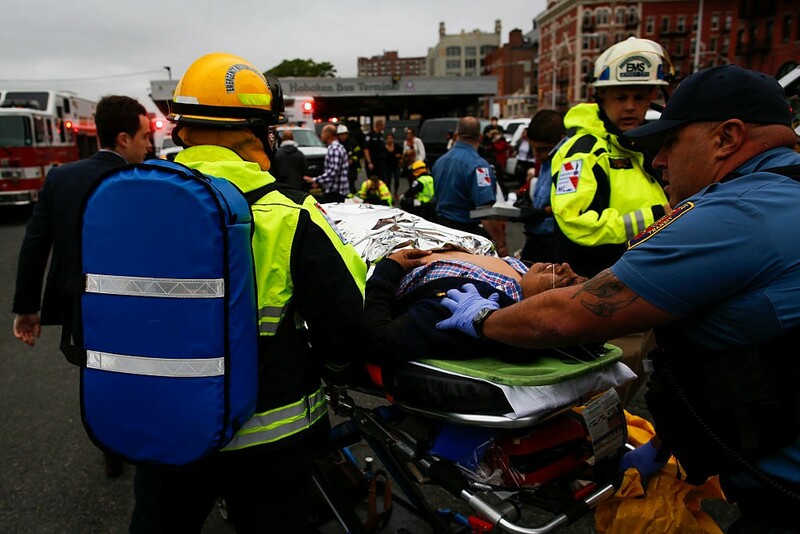 The engineer was pulled from the badly mangled first car of the train and hospitalized in critical condition. He was cooperating with investigators, Gov. Chris Christie said. 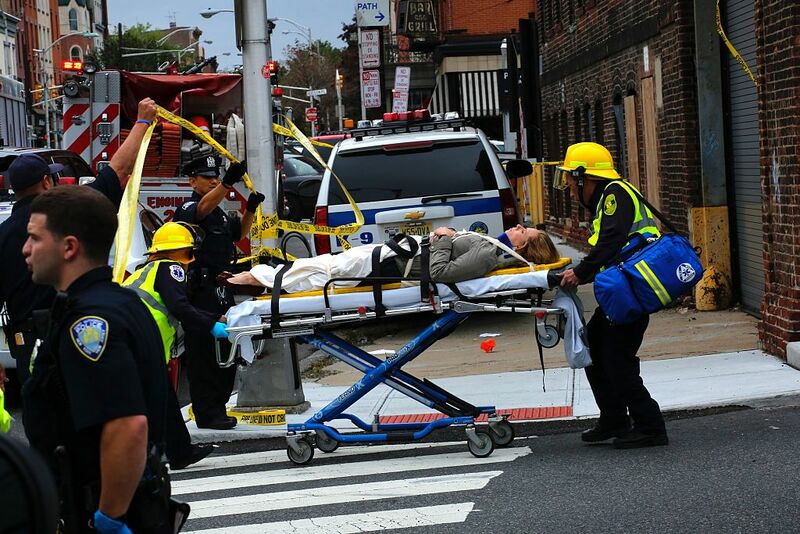 A woman standing on the platform was killed by debris, and 108 others were injured, mostly on the train, Christie said. Seventy-four of them were hospitalized, some in serious condition, with injuries that included broken bones, bumps and gashes. “The train came in at much too high rate of speed, and the question is: ‘Why is that? '” Christie said. New York Gov. 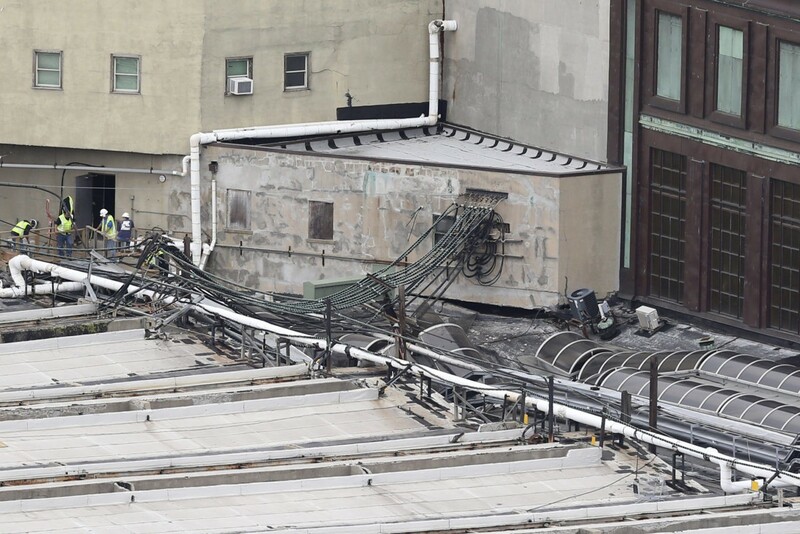 Andrew Cuomo said investigators will determine whether the explanation was an equipment failure, an incapacitated engineer, or something else. The National Transportation Safety Board sent investigators. Among other things, they will want to know what the operator was doing before the crash and whether the person was distracted, said Bob Chipkevich, who formerly headed the NTSB train crash investigations section. None of NJ Transit’s trains are fully equipped with positive train control, a safety system designed to prevent accidents by automatically slowing or stopping trains that are going too fast. 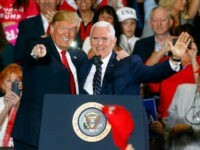 The industry is under government orders to install PTC, but the deadline has been repeatedly extended by regulators at the request of the railroads. The deadline is now the end of 2018. But both Cuomo and Christie said that it is too soon to say whether such technology would have made a difference in this crash. The train was not equipped with an inward-facing camera in the cab that could give a fuller picture of the operator’s actions. The Hoboken Terminal, which handles more than 50,000 train and bus riders daily, is the final stop for several train lines and a transfer point for many commuters on their way to New York City. Many take ferries or PATH commuter trains across the river to the city. NJ Transit service was suspended in and out of Hoboken, all but assuring a difficult trip home for commuters. Christie said engineers were examining the station’s structural integrity and it was too soon to say when it might reopen to NJ Transit trains. William Blaine, an engineer for a company that runs freight trains, was inside the station when the train crashed and ran over to help. He walked over to the heavily damaged first car with a transit employee to check on the train’s engineer and said he found him slumped over the controls. The train had left Spring Valley, New York, at 7:23 a.m. and crashed at 8:45 a.m., authorities said. NJ Transit spokeswoman Jennifer Nelson said she didn’t know how fast the train was going when it crashed through the barrier. Jamie Weatherhead-Saul, who was standing at a door between the first and second cars, said the train didn’t slow down as it entered the station. She said the impact hurled passengers against her. One woman got her leg caught between the doors before fellow riders managed to pull her up, Weatherhead-Saul said. 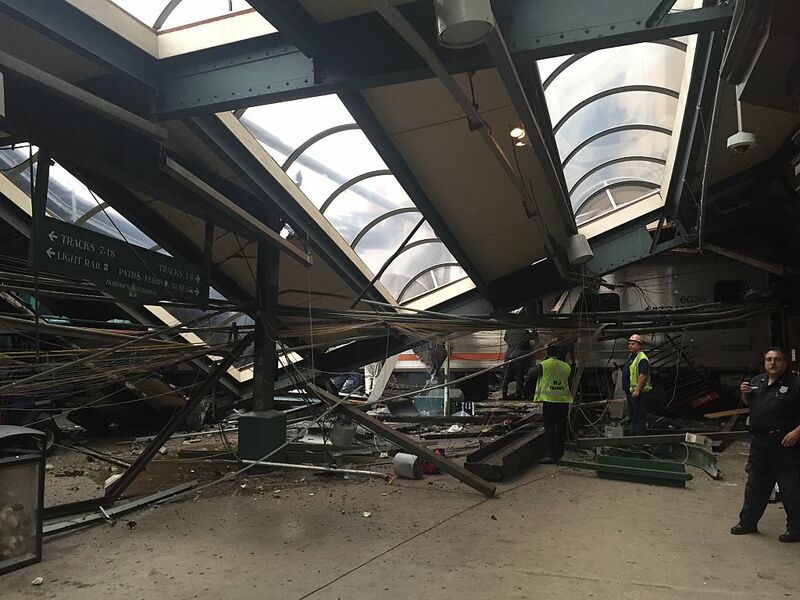 Michael Larson, an NJ Transit employee who was working in the terminal about 30 feet away, said he saw the train come in fast, go over the concrete-and-steel barrier called a bumper block, and lift up into the air, stopping only when it hit the wall of the station’s indoor waiting area. As the train hurtled into the depot amid concrete dust and dangling electrical wires, “I couldn’t believe what I was seeing,” he said. Half the first car was destroyed, with some passengers crawling to try to escape, Larson said. He said he helped a few riders get out before emergency works arrived. More than 100,000 people use NJ Transit trains to commute from New Jersey into New York City daily. 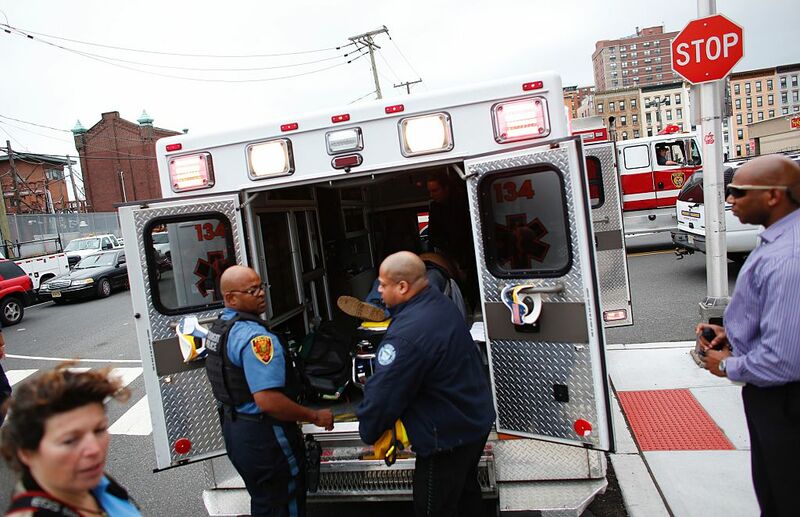 A crash at the same station on a PATH commuter train injured more than 30 people in 2011. The train crashed into bumpers at the end of the tracks on a Sunday morning. The Hoboken Terminal was built in 1907 and is listed on the National Register of Historic Places.